BearSome Black Bears Are Bigger Than Others. A Lot Bigger. Why? Some Black Bears Are Bigger Than Others. A Lot Bigger. Why? 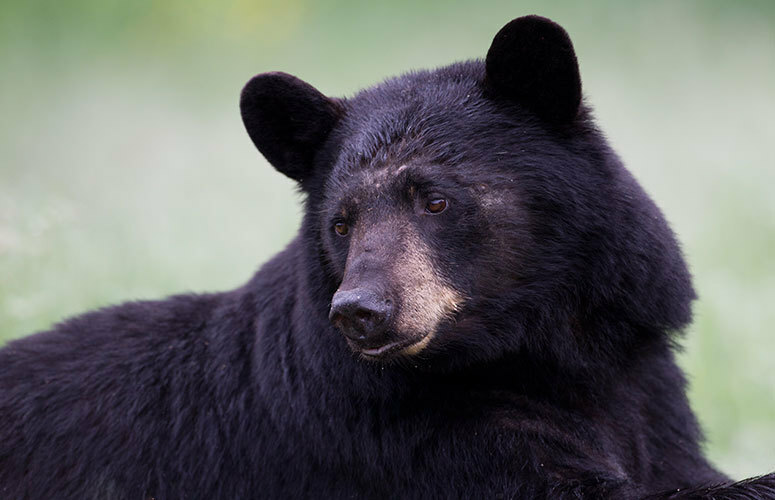 Surprisingly large black bears aren’t just turning up more frequently. They are being killed in places that didn’t even have a stable bear population two decades ago. What factors contribute to a black bear's size? It it simply genetics or a host of things that help some bruins grow larger than others? If you spend any time on social media or surfing hunting sites, you’ve probably noticed a spike in the number of huge black bears in recent years. A 724-pounder was killed in central Virginia a few years ago. Three bears of more than 700 pounds were killed in Pennsylvania in 2016, including one that tipped the scales at 740 pounds. A Minnesota hunter shot a 721-pounder in 2017 and a North Carolina hunter bagged a 784-pound bear in 2014. The aforementioned giant bears aren’t just turning up more frequently. They are being killed in places that didn’t even have a stable bear population, let alone a hunting season, two decades ago. The simplest explanation is more bears are on the landscape. Thanks to sound management and restrictive seasons, many states are seeing a spike in the number of bears and an increase in their range. As such, wildlife agencies have expanded hunting opportunities in recent years. “I talk to people who have been hunting for a long time and they tell me they were lucky if they saw one bear all season 20 or 30 years ago. Now, they see several and they can be more choosy,” says North Carolina Wildlife Resources Commission bear biologist Colleen Olfenbuttel. “They are more willing to let smaller, younger bears go and wait for a bigger, older one." By allowing bears to grow older, they have more time to pack on a few more pounds. In some regions, lots and lots of pounds. Olfenbuttel says bears can increase their weight by up to 100 pounds per year in some parts of her state. That’s an exceptional growth rate and something that is rare throughout bear country. In eastern North Carolina, however, it’s not out of the question. “We are also harvesting a smaller percentage of females, which tend to be smaller than males,” Olfenbuttel said. “Again, that probably is a result of hunter selectivity." That may be true in some places, but it doesn’t necessarily explain why hunter-harvested black bears in some parts of Canada tend to run small, including areas where baiting is legal and hunters have the opportunity to study bear sizes as they come to the bait station. Average weights of bears taken by hunters in Maine tend to be relatively low, as well, says Maine Department of Inland Fisheries and Wildlife biologist Randy Cross. There is a simple explanation for that. “Big bears don’t come to bait often in Maine. If they survive a few seasons, bears wise up and learn to avoid bait during the daytime," Cross explained. "They may have been shot at or even wounded when they were at a bait station, so they are more cautious. Bears are smart animals. Older bears are even smarter. Most bears taken over bait are younger. Our bait hunters shoot a lot of 2- and 3-year-old bears. The average two-year-old Maine bear can weigh about 120 pounds." Even when they are the same age, some bears are likely to weigh more than others. A 3-year-old Maine bear weighs about 200 pounds says Cross, while a same-age bear in Pennsylvania can weigh considerably more. Eastern Carolina bears have lots of acorns too, but they also have access to food with even more nutrition than acorns. The supply is virtually unlimited. Corn, beans, wheat and even peanuts are grown throughout the region, with fields stretching for miles in every direction. Bears take full advantage of that abundant food throughout the growing season. Bears that don’t have easy access to abundant agricultural crops have to rely on native foods. When that isn’t available, bears weigh less. Acorns are a favorite food and are loaded with a variety of essential nutrients that help bears go into hibernation in good health. The annual acorn crop isn’t reliable, though. Oaks that produce a heavy mast crop one year may be void of the nuts the next. Where legal, baiting and feeding may play a role in average sizes, too, says Minnesota Department of Natural Resources biologist Dave Garshalis. “We have a number of bears wearing collars with GPS devices, so we know exactly where they are and what they are doing," he said. "We asked our bear hunters not to shoot those wearing a collar. About two-thirds of our collared bears are feeding at bait sites and they are putting on massive amounts of weight. We know that. Cross doesn’t think baiting is adding weight to Maine bears. Hunters can only feed and bait bears for about two months. Although the bait provided by hunters can be loaded with fat and calories, they don’t have access to it long enough to pack on many pounds. “I don’t think it is going to turn a 200-pound bear into a 300-pounder," Cross said. "Hunters often take a bear early in the season, so the animals just don’t have time to gain a lot of weight before they are killed." Sizes can vary dramatically from one region to another for different reasons. Biologists call it Bergmann’s Rule. Named after 19th-century German biologist Carl Bergmann, it states that animals of the same species tend to have larger body sizes on average in northern latitudes than southern latitudes. Although there are exceptions, the rule tends to be true for most animals. Whitetails in Florida and Alabama are much smaller on average than deer in Maine, Wisconsin and Canada. The logic is simple: Larger animals are better capable of surviving harsher winters with extreme temperatures and deeper snow. Evolution ensured the survival of larger-bodied animals. Bergmann’s Rule ends somewhere around Pennsylvania and New Jersey, figures Cross. That’s because the farther north they are, the earlier bears den for the winter. Cross sees that in different parts of Maine. Although average denning dates vary from year-to-year, southern Maine bears den as much as a few weeks later than those in the north do and they emerge a few weeks earlier in the spring. That’s one reason southern Maine bears are somewhat larger on average than those to the north are. That’s true in Minnesota too, says Garshalis. An 8-year-old male from northern Minnesota weighs about 260 pounds on average while a same-age male in southern or central Minnesota can tip the scales at more than 400 pounds. “The habitat is also better in the south. There is just more food,” Garshalis said. That Minnesota giant taken in 2017? It was killed in the state’s northwestern region. That just means that monster bruins can show up almost anywhere, even in places that don’t normally surrender the biggest bears.